Just like the clothes, hairstyle and tattoos we have can show that we are part of a tribe, so does the language we speak. A few years ago I overheard a conversation on a bus in London. A middle-aged man was asking a friend what ‘ROLF’ meant. ROFL stands for 'rolling on the floor laughing.' These days it is actually a bit dated – and has more likely than not been replaced by an emoji – but the gap of understanding between the man’s older generation and that of the younger continues. 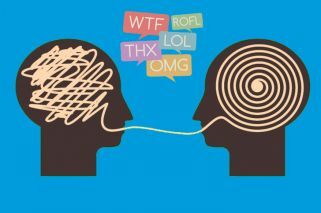 New generations create and use language differently from previous ones. They often use acronyms and code words, chosen specifically so that older generations cannot understand them. And once these words spread to a level of wider understanding, the younger generation may well drop them or even change their meaning. Just like the clothes, hairstyle and tattoos we have can show that we are part of a tribe, so does the language we speak. People have long used jargon to indicate their membership of a certain tribe, whether professionally as in the case of lawyers or academics, or socially as members of a club, or people who practice the same hobby or sport. Acronyms are simply an extension of this use. 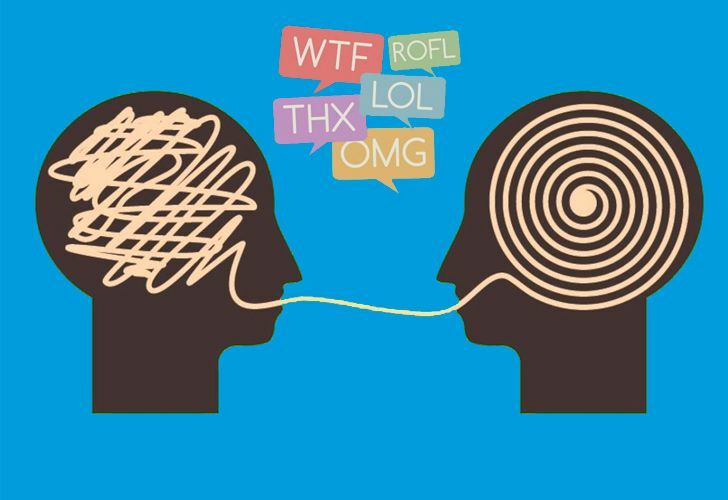 Companies have picked up on the fact that young people are using acronyms in text speak too. In an attempt to engage with millennials, in April last year Procter and Gamble registered a trademark application for the following three letter acronyms: 'LOL,' 'WTF,' 'NBD' and 'FML.' The US Patent and Trademark Office requested clarification on the application and P&G had until January, 2019 to respond. The fact that nothing further appeared in the news about this matter leads me to suspect that the registration was probably not successful. Perhaps they should have chosen to patent emojis instead. Most companies have their own, internal acronyms which can be impenetrable to outsiders and need to be explained. Different departments or procedures may be referred to with acronyms and these should be spelt out for clarity. Using jargon shows that we are part of a tribe. It has more exclusive connotations proper to that of a club. Every field of expertise has its own specific jargon and until we can understand and use it, we won’t be considered to be part of that club. There is nothing wrong with using acronyms or indeed some jargon – it may be a necessity for some groups in order to show , and it may be practical, so as to communicate faster – but it is not advisable when used institutionally as it alienates anyone not in the know. Institutions should make an effort to communicate clearly avoiding jargon or acronyms wherever possible. Where they are unavoidable, they should be explained so that they won’t leave people in the dark – like the man on the top of the bus.